You’re in the right place if you are done trying to figure it out all on your own. 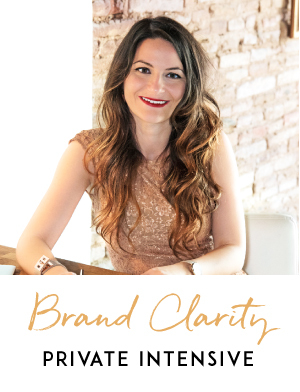 You’re an action taker, ready to grow and unlock your gifts to design a life and brand you love and one that connects and attracts your dream clients. For the fast action taker looking to align your brand with your vision, gain clarity on your purpose, message, ideal client or story. For the purpose dirven entrepreneur looking to package your talents, grow your brand, so you can expand your income and impact. 3 Spots re-opening in August. For the entrepreneur ready to grow and invest into a visual brand that connects and converts fans into high-end dream clients.